Persimmons may be used for a variety of breads, pies, puddings and even to make beer as well as providing deer-attracting scent pads. We are living in a time when many need to recapture some of the knowledge that our grandparents had in regards to making food from free wild products. 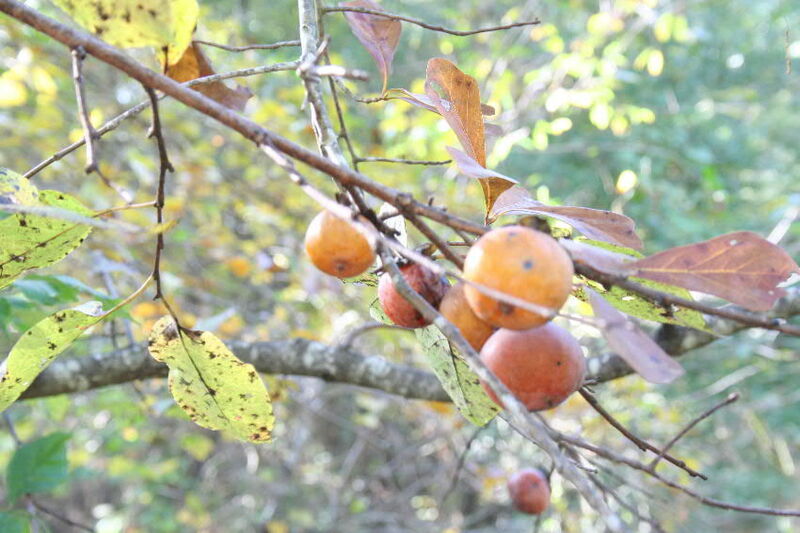 The American persimmon can be used to make breads, puddings, beer and even be frozen for use as a deer attractant long after all the wild fruit has been consumed. Deer love persimmons. Even rutting bucks will check out a persimmon tree that is dropping fruit and make scrapes near persimmon groves. The following video was made in early September in Central Georgia. The fruit from the tree I used was fully ripe and dropping on the ground. Fruit that is still hanging on the tree may have an astringent taste until the first frost sets the sugars, however by that time most of the persimmons will have ripened, fallen and been consumed. When you gather persimmons you want to use only the soft ripe fruit may be discolored and have split skins. This is picked up from the ground or forest floor and washed. I then take a large spoon and mash the fruit in coarse sieve. 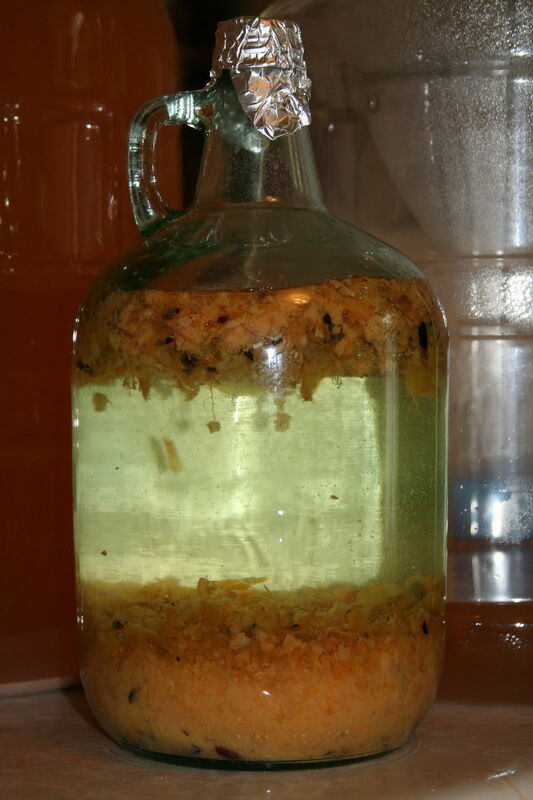 The seed with clinging pulp and skins are put into a gallon jug with water, yeast (one tablespoon), brewing enzyme (six drops), sugar (one cup) and yeast food (one teaspoon). This will start fermenting as soon as the entire mixture warms. This could be decanted and drunk anytime after fermentation is under way. I prefer a weakly bubbling product that is something between beer and wine. The result is a lightly yellow-green-tinted drink that has a bit of citrus taste, like weak grapefruit juice or un-sweetened lemonade. When chilled this is very refreshing without the belly bloating feel of regular beers. I let it ferment for 5-6 days or until it has almost quit. Then I strain it, pour it up into a glass pitcher and refrigerate. As I make it in small batches, I just put it into the fridge until I consume it. You could bottle it, but I have not. Even the wipe-out from the containers has uses. I take the paper towels with the persimmon mash on them and hang these around my deer stand as a deer attractant. When these are frozen in plastic bags they keep indefinitely – even from one year to the next. 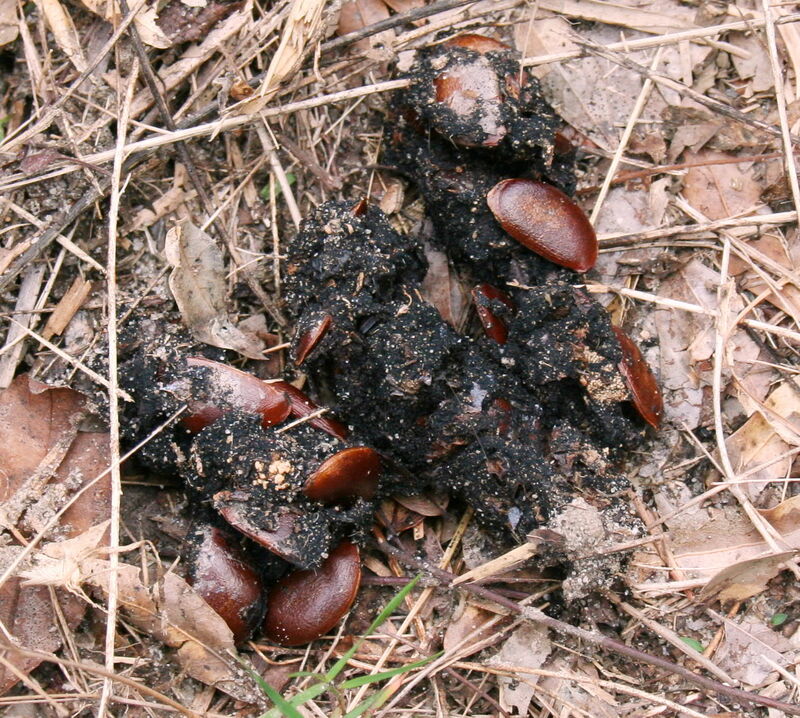 Persimmon seed in deer droppings. Once the seed and mash have gone through fermentation and are strained out, I plant the seeds in areas where I want persimmons. In the natural run of things, these seed pass through the digestive systems of deer and then germinate. I think that my seeds that have gone through the fermentation process in glass jars are likely to sprout as well, although I do not know that for a fact. I am going to plant some this year and find out. If you cannot view the following video easily here. I also have it on YouTube at:http://youtu.be/1Ny_uauehsk. « So Where Do You Get That? how do you turn out to be a member?